In 1908, the San Rafael Elks Lodge was founded with the help of our sister Lodge in Petaluma. Since 1995, the Lodge has opened its membership to both men and women. Lillian Dreyer was the first female in Lodge #1108. She was initiated in 1996. 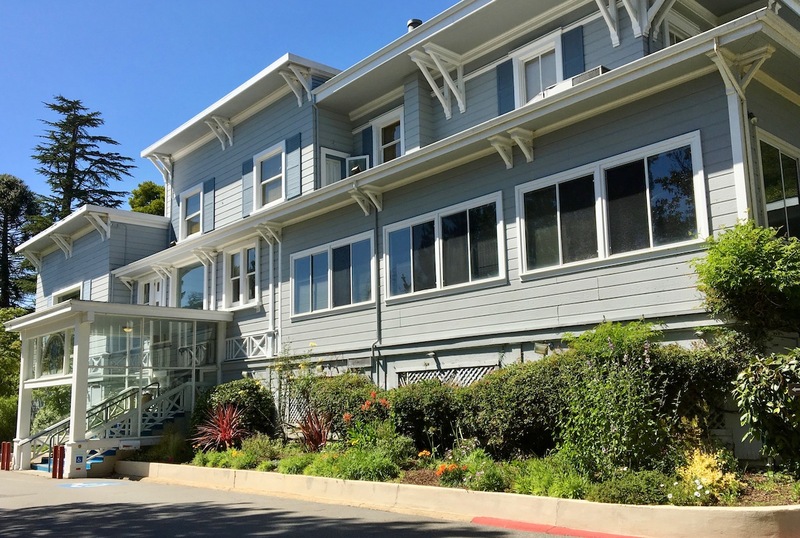 Our Lodge was originally located in downtown San Rafael on Fifth Avenue. In 1965 we were given the opportunity to purchase Maple Lawn Estate from Louise Boyd, and it was just up the street from where the Lodge was originally located. In addition to the mansion house, there is an historic Carriage House, outbuildings, workers cottages, a swimming pool, picnc area and beautiful outdoor terrace lined with Magnolia Trees. We now have over 525 members ranging from 21 - 97 years old, male and female. We are an active and vibrant Lodge with many families who help create a fun and lively atmosphere in the Lodge, and outside in the community. John Franklin Boyd (1842-1920) formed a partnership with Seth and Dan Cook and opened the Standard Mining Company in Bodie, California, that yielded a bonanza. He married his partner's niece, Louise Arner, who inherited the Cook estate known as Maple Lawn in San Rafael, and another estate in Contra Costa County, now known as Mt Diablo. Boyd continued to accrue assets through his skilled management, and the family enjoyed a charmed life. The Boyds took part in community affairs and shared their time between the two estates. Louise Arner Boyd had three children with John Franklin Boyd, Louise, Seth and John. The children had an ideal life romping in the large home and riding ponies around San Rafael. Then tragedy struck in 1901; within a year, the two boys died of complications of rheumatic fever. Maple Lawn was the name of the Boyds' estate in San Rafael on Mission Avenue. The Cooks, who originally owned the house, had made extensive improvements to the property. Seth Cook bought six acres and added the Gate House at the entrance to the drive in 1879. Louise Boyd inherited all the Boyds' assets at the age of 29 when her parents, Louise Arner Boyd and John Franklin Boyd, died. A trip to the Arctic in 1924 determined her future life, and she became an Arctic explorer. Louise financed seven expeditions to Greenland and surrounding areas for which she acted as the photographer. After the start of World War II, she came home to San Rafael and became involved in social and civic activities.Louise kept Maple Lawn until she could no longer maintain the property. She sold the estate to the San Rafael Elks Lodge in the early 1960's. Louise died in a nursing home in San Francisco on September 14, 1972, just before her 85th birthday. Note: There are NO RV facilities at this Lodge. Swimming Pool is for all Elk members and their guests only. Check out details and photos on our event website at www.MapleLawnEvents.com.